Gauteng , Although it is the smallest of South Africa’s nine provinces, Gauteng the Sotho word for "Place of Gold", is the commercial and industrial powerhouse of the country and indeed of southern Africa. Gauteng is a cosmopolitan, multicultural mix of people from all walks of life, from all corners of the world. 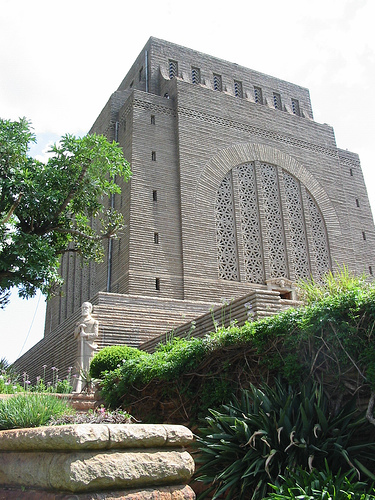 Gauteng's main attraction is big business, but there is so much more ... museums, galleries, historical battlefields. 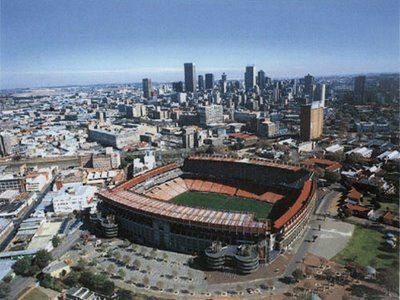 Gauteng is also an entertainment playground offering world-class restaurants, shebeens, shopping malls and music venues. Johannesburg is an African city of note. 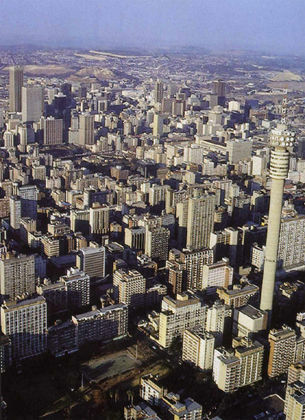 Johannesburg is characterised by contradiction and an apparent seamless combination of irreconcilable differences. The largest city in South Africa, Johannesburg is also the wealthiest and, without doubt, the economic powerhouse of Africa. Johannesburg is a booming, happening city and the emphasis is on making money whether in business or on the streets and has been since its beginnings when the world’s richest gold fields were discovered in Johannesburg during the 1880s. To the first-time visitor Johannesburg, or Jozi as it’s more commonly known, can be a little daunting, more so because of the misrepresentation by the media of Johannesburg as something of a war zone. There is crime; you do need to keep your wits about you, but once bitten by the vibe of Jozi, you’re going to want to come back again. Johannesburg inner city, abandoned by an exodus of big business that transferred to Sandton and, until recently, avoided by all except die-hard tourists, is undergoing a complete regeneration.The area close to City Hall and Newtown Cultural Precinct, which has completely transformed the Market Theatre and surrounds, now forms the heart of urban revival, and the Johannesburg inner city remains the largest employment centre in South Africa. Pretoria , Known as the Jacaranda City for all the purple blossom-bedecked trees, which line its thoroughfares, Pretoria is a lovely, quiet city. 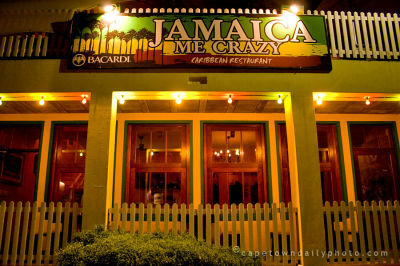 It has a long, involved and fascinating history. Here you will find significant old buildings and fascinating museums. The Transvaal Museum has natural history displays and is the home of Mrs Ples, the australopithecine fossil found at Sterkfontein in the Cradle of Humankind. Also worth visiting are the Cultural History Museum and Smuts Museum in Irene, outside Pretoria. 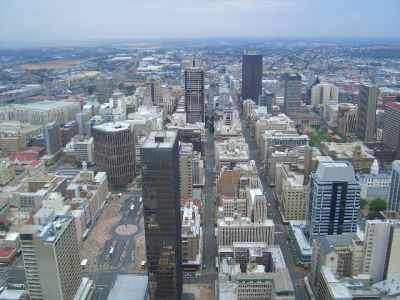 Pretoria functions as one of three capitals of South Africa with a population that exceeds a million people, the bulk of whom are government officials. 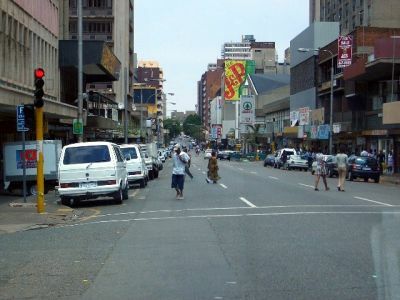 The city centre is laid out in typical city fashion on a grid with wide roads, making getting around fairly simple.Pretoria’s potential name change to Tshwane the city lies in the greater Metropolitan municipality of Tshwane was approved by the names’ council in 2005 but still lacks endorsement by the Minister of Arts And Culture, remaining ‘under consideration’, which may or may not have something to do with the hue and cry that ensued at the onset of the name change. Practically mandatory when visiting the city are the Pretoria Botanical Gardens, the Zoo, the Union Buildings and various museums and galleries that include Melrose House, the Pioneer Museum, Sammy Marks museum, and the Voortrekker Monument. Outdoor activities include the Wonderboom and Groenkloof Nature Reserves, the Austin Roberts Bird Sanctuary, and a steam train ride around Pretoria. Sedate, leafy Pretoria tends to endure a Cinderella complex when compared with the neighbouring city of Johannesburg. When it comes to world class cities, Johannesburg is one of the most ‘happening’ cities on the African continent and the city gleams with the glamour of money. Pretoria has been left to shrug off its former association with the apartheid government in a relative state of slumber, lying as it does in a warm, sheltered valley surrounded by the hills of the Magaliesberg range that ensure that temperatures here are invariably a few degrees warmer than Johannesburg. But don’t let the sleepy nature of the pretty city lull you into a false perception. Pretoria has a beauty all of its own, and the slow pace of life is regarded as a bonus by its residents. 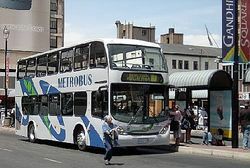 Many Jo’burgers seek a quieter existence in Pretoria, prepared to commute daily rather live in the comparative rat race. Wall flower the city is not. When in full bloom in October, Pretoria literally comes alive with blossoms and leaves no one in doubt as to the origin of its nickname - Jacaranda city. 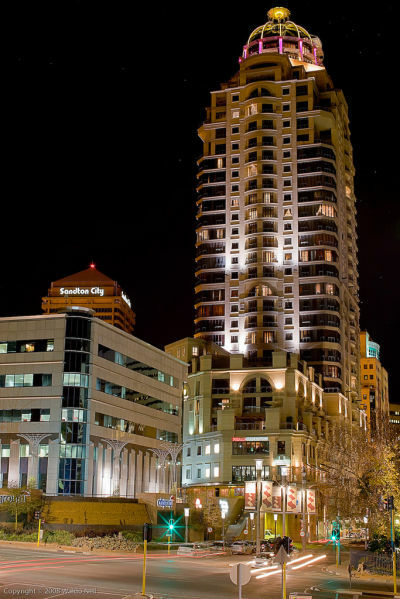 Santon City , Despite Johannesburg’s city centre doing its utmost to change perceptions about its capacity to function as the heart of the city, Sandton continues to reign as the most important financial and business district in South Africa, and arguably sub-Saharan Africa. It has been such since 1990 when the mass exodus to the northern suburb first began, and Sandton became known not only as a materialistic centre, but as a refuge of the ‘white flight’ from Johannesburg’s CBD. It is hard to believe that this sophisticated district, home to the top investment banks, financial consultants, the Johannesburg stock exchange, and one of the biggest convention centres on the continent, was but mere sandy horse trails where the ‘mink and manure set’ lived on wealthy, large estates 50 years ago - small wonder it is known as one of the most opulent areas in Johannesburg. Sandton started life at the beginning of the century as the suburb of gentlemen properties were no smaller than one morgen just less than one hectare. Life has fundamentally not changed, although the landscape has radically altered. Gone are the farms and the sedate way of existence for the white upper class, to be replaced by glass and chrome buildings, and South Africa’s emerging black middle-class: the ‘empowerment kugels’, according to author Sarah Britten, do lunch not in Soweto but in Sandton. 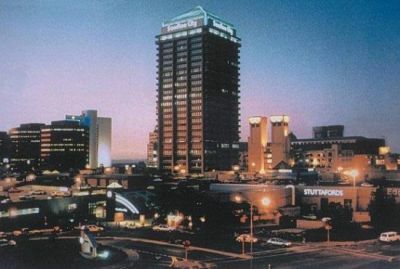 Known as ‘Africa’s richest square mile’, Sandton has headed upward with a barrage of Manhattan-style skyscrapers that function as landmarks throughout Johannesburg, particularly Sandton City’s pyramid-style rooftop. Visit Nelson Mandela Square, various art galleries, or go on a personal walking tour that takes in 29 Sandton landmarks and stops off at various restaurants. Midrand is relatively modern and has experienced a great deal of growth in the last decade. Many businesses have relocated to Midrand due to its proximity to excellent highway links and its location in the economic centre of Gauteng Province. 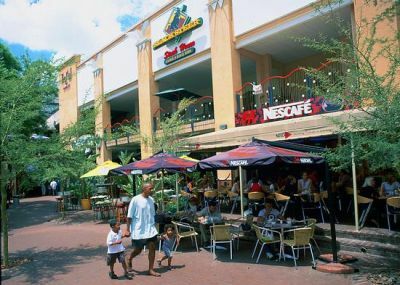 Midrand's large development has meant there is little break between the outskirts of Johannesburg and those of Pretoria. Therefore, the Gauteng Provincial Government envisages that, if current growth trends remains, much of the province will be city by 2015. Midrand is, therefore, an accurate reflection of current economic expansion of Gauteng. Home to large-scale industries such as textiles and motor vehicles, it is a superbly located business venue. Gauteng’s East Rand has not always had top billing. 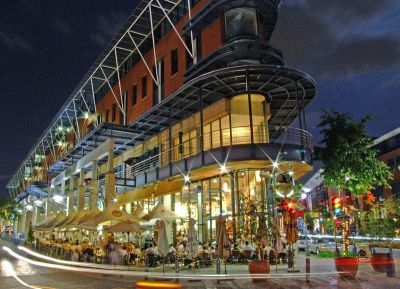 For most who visit Gauteng, it pales by comparison with the hectic pace, glitz, glamour and nightlife of Jozi. But the little towns of Alberton, Benoni, Boksburg, Brakpan, Edenvale, Germiston, Springs, Kempton Park and Nigel are now collectively known as Ekurhuleni Metropolitan. The Ekurhuleni’s borders encompass the vibrant townships of Daveyton, Katlehong, Vosloorus and Wattville (to name but a few), and the former East Rand has reclad itself as a tourist-friendly escape from the rat race, with more than a few hidden gems up its sleeve. Visit the Thokoza Memorial wall, Khumalo Street in Thokoza to honour thousands of the victims who died during the struggle. Alberton’s Meyersdal Koppie Nature Reserve is home to Late Iron-Age stone wall settlements, whilst Boksburg boasts numerous beautiful old heritage sites – the old law courts, the post office, St Michael and All Angels Anglican church, designed by Sir Herbert Baker. Benoni, known as the ‘city of lakes’ encourages picnics at no fewer than five lake sides, whilst the Rietvlei Zoo and Nature Reserve, just outside Alberton, and the Rondebult Bird Sanctuary - a rare wetland area with amazing bird hides and access to antelope, ostrich and zebra - both make wonderful day trips. There is a popular flea market held every weekend in the gardens of Edenvale’s first farmhouse – Horwood’s Farm; Wild Waters at Bokkie Park in Boksburg also has a farmyard area in which children can practice milking cows; whilst the Le Grange Bird Park and Boksburg Lake are wonderful places for Sunday picnics. Residents of Daveyton, Katlehong, Tembisa and other townships in Ekurhuleni encourage visitors to walk their streets, and join them for a beer at a shebeen. The Visitor Centre at Cradle of Humankind, Gauteng. Cradle of Humankind Site comprises a strip of a dozen dolomitic limestone caves containing the fossillised remains of ancient forms of animals, plants and most importantly, hominids. The dolomite in which the caves formed, started out as coral reefs growing in a worm shallow sea about 2.3 billion years ago. The Cradle of Humankind site lies mainly in the Gauteng province with a small extension into the neighboring North West Province, and covers 47 000 hectares of land mostly privately owned. The Cradle of Humankind Site comprises a strip of a dozen dolomitic limestone caves containing the fossillised remains of ancient forms of animals, plants and most importantly, hominids. The dolomite in which the caves formed, started out as coral reefs growing in a worm shallow sea about 2.3 billion years ago. The appealing Crocodile Ramble that meanders in and around the Cradle of Humankind and Hartbeespoort Dam, offers a series of art studios and galleries, pubs, tea gardens, nurseries, picnic and camping spots, bird walks, 4x4 trails, hiking and horse trails and a heritage tour and starts a mere 45 minutes from Johannesburg. On the eastern periphery of the Magaliesberg Mountains lies Hartbeespoort Dam, a major mecca for Gautengers and a hive of water activity over weekends. Despite this, there are still places of escape in around here, the small village of Magaliesberg - with its quaint little shops and vintage railway station - and beyond. This part of the world is given over largely to farms and smallholdings, many of which are now the abodes of artists and crafters; and the little village of Muldersdrift also serves as a launching pad to the Cradle of Mankind and the Sterkfontein Caves declared a World heritage site in 1999. The Rhino and Lion Nature Reserve, the Wonder Cave, fish farms, steam train rides, trips to Soweto and the Walter Sisulu National Botanical Gardens are just a few of the wonderful attractions on the West Rand, and reason a plenty to visit. West Rand , Extending from Randfontein in the west to Roodepoort in the east and including the towns of Krugersdorp and Magaliesburg, the West Rand may belong to a separate municipality, but it still remains within the Greater Johannesburg metropolitan area and it is not uncommon for people to commute between the West Rand and Johannesburg on a daily basis. The West Rand grew out of the discovery of gold in the area, although a greater part of this area remains rural and largely unspoilt, encompassing some of Gauteng’s most beautiful scenery and enviable weather. Two mountain ranges, the Magaliesberg and the Witwatersberg, grace the western fringes of the region, which, when combined with the Skeerpoort and Crocodile River valleys, makes for beautiful and interesting hikes, rock climbs and days out in nature. The history lesson is brought to life; youngsters are not just hearing how Johannesburg had its origins, but are seeing, feeling and tasting it. Even those in suits can appreciate the City Without Limits. Countless companies have chosen Gold Reef City to host conferences or other serious events. And, depending on the programme, the workers simply walk to the fun when the work is done. Good value, good fun and variety are only part of the story behind Gold Reef City's success. Friendly faces, helpful guides and notices, and ample opportunity for rest and refreshment, keep the visitors coming back. Aggressive and targeted marketing has built on these strengths. Gold Reef City has become a strong, well-known and visible brand that promises "more winners in more ways". The Apartheid Museum is the story of the triumph of the human spirit over adversity. Beginning in 1948, the white elected National Party government initiated a process which turned over 20 million people into 2nd class citizens, damning them to a life of servitude, humiliation and abuse. Their liberation in 1994 with the election of Nelson Mandela, the prisoner who became president, is a climax in the saga of a nations resistance, courage and fortitude. Just 15 minutes from OR Tambo International Airport or 20 minutes from Sandton (the business center of South Africa), discover the true history of South Africa. Whoever you are, you cannot but come away with a deeper understanding and appreciation of this country, its darkest days and its brightest triumphs. The Apartheid Museum, the first of its kind, illustrates the rise and fall of apartheid: The racially prejudiced system that blighted much of its progress and the triumph of reason which crowned half a century of struggle. The Museum has been assembled and organized by a multi-disciplinary team of curators, film-makers, historians and designers. An architectural consortium comprising several leading architectural firms, conceptualized the design of the museum on a seven-hectare site. The museum is a superb example of design, space and landscape offering the international community a unique South African experience. The exhibits are from film footages, photographs, text panels and artifacts illustrating the events and human stories that are part of the epic saga, known as apartheid. A series of 22 individual exhibition areas takes the visitor through a dramatic emotional journey that tells a story of a state sanctioned system based solely on racial discrimination. For anyone wanting to understand and experience what South Africa was really like, a visit to the Apartheid Museum is fundamental. The museum is a beacon of hope showing the world how South Africa is coming to terms with the past and working towards a future that all South African's can call their own.And nowhere else will the tourist find such a comprehensive and colourful depiction of mining life at the turn of the nineteenth century. Learners lap up the educational content, their minds sharpened by the adrenaline-spiking rides in the theme park. In 1995, the Constitutional Court justices began looking for a permanent location for the new Court. The dilapidated Prison Complex provided a central location with a rich cultural history. At the height of apartheid rule, up to 2 000 black South Africans were processed through its entrance daily. 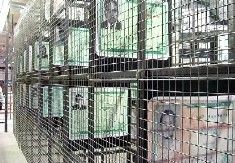 Struggle stalwarts like Mahatma Gandhi, Albert Luthuli, Robert Sobukwe and Nelson Mandela spent many cold, lonely hours in the cells reserved for black males at Number Four. The prison was closed in 1983, leaving a scar on Johannesburg’s metropolis - a bleak reminder of our painful past. The site has now been transformed into a modern, living museum dedicated to human rights. To chart the history of the Old Fort Prison Complex, commonly known as Number Four, is to broadly map the history of resistance in South Africa. For decades, thousands of prisoners streamed through the ''delousing'' chambers of the Prison Complex. They were made to do the humiliating Tauza dance, were beaten and abused in the notorious Number Four prison for black men, held for months in dirty, overcrowded conditions in the Awaiting Trial Block, and stripped of their underclothes and their dignity in the Women’s Jail. 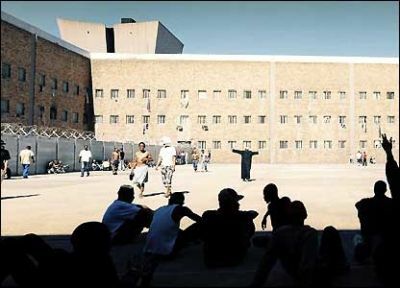 From rebellious British soldiers who fought with the Boers at the turn of the century, to striking mineworkers, Defiance Campaigners, Treason Trialists and youths caught up in the Soweto Uprising, to the hordes of ordinary men and women incarcerated daily under the inhumane Pass Laws, the Prison Complex saw it all. Visit Constitution Hill and experience the unique way that the South African transition has built hope for the future out of the pain of the past. Constitution Hill’s public participation programme, We the People, has begun the long process of inviting ex-prisoners and warders back on to site to participate in research-based workshops. The images, sounds and voices recorded in these workshops have recreated the tenor of prison life, revealing individual stories and experiences that form the basis of the exhibitions and tours. Objects, photographs and memories give a sense of how power and punishment were inflicted on the minds and bodies of prisoners and demonstrate the efforts that men and women made to overcome prison conditions. Exhibitions are designed as a participatory experience. There are many facilities on Constitution Hill for you to record your own memories and response to the exhibitions. By participating you will set down another layer of history for future generations to discover. At least seven of the twelve sites have yielded hominid remains. In fact, together these cave sites have produced over 850 hominid fossil remains, so that to date they represent one of the world's richest concentrations of fossil hominid bearing sites.The scientific value of this area lies in the fact that these sites provide us with a window into the past, to a time when our earliest ancestors were evolving and changing. Scientists have long accepted that all humans had their origins in Africa. Through the use of biochemical evidence they have argued that the split of the human lineage (Hominidae) from that of the African apes took place around 5-6 million years ago. The study of hominid fossils from sites in Africa thus enables scientists to understand how these hominids have changed and diversified since then. As the reefs died off they were transformed into limestone which some time later was converted into dolomite. Millions of years later after the sea had receded, slightly acidic groundwater began to dissolve out calcium carbonate from the dolomite to form underground caverns. Over time the water table dropped and the underground caverns were exposed to the air. The percolation of acidic water through the dolomite also dissolved calcium carbonates out of the rock into the caverns, which formed stalactites, stalagmites and other crystalline structures. Continued erosion on the earth's surface and dissolution of the dolomite eventually resulted in shafts or avens forming between the surface of the earth and the caverns below. Bones, stones and plants washed down these shafts into the caves; and animals and hominids fell into the caves, became trapped and died.The bone and plant remains became fossilized and along with various stones and pebbles became cemented in a hard mixture called breccia. Nowhere can the story of South Africa’s turbulent past and its extraordinary transition to democracy be told as it is at Constitution Hill. This national heritage site has witnessed a century of South Africa’s history. From rebellious British soldiers who fought with the Boers at the turn of the century, to the youths caught up in the Soweto Uprising, to the dawn of democracy and the building of South Africa’s new Constitutional Court, Constitution Hill has witnessed it all. Visit Constitution Hill and learn about the injustices of South Africa’s past while observing the process by which freedom was won and is now protected. Exhibitions and guided tours have been designed as an interactive experience, offering visitors the opportunity to participate in the building of Constitution Hill. 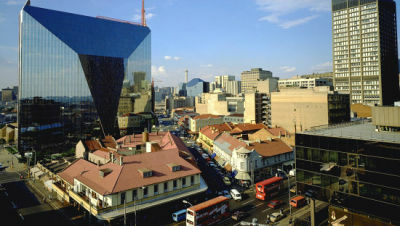 The Constitutional Court of South Africa is Johannesburg’s newest historical landmark and a unique architectural symbol of South Africa’s democracy. On this site, once the Old Fort Prison Complex, commonly known as Number Four, political prisoners and common criminals awaited trial and sat out their jail sentences. Today, the elegant Constitutional Court presides over this once-reviled place and stands as a proud monument to South Africa’s hard-earned freedom. The Court extends an invitation to the general public and international visitors to explore the history of South Africa’s political transition. Come and see the splendid and symbolic artwork, sit in the graceful public gallery, watch the 11 justices deliberate the finer details of the Constitution and wander around the largest human rights library in the southern hemisphere. Or simply soak in the atmosphere of one of the world’s most progressive constitutions. 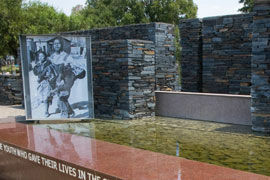 The Hector Pieterson* Memorial and museum opened in Soweto in 2002, not far from the spot where 12 year-old Hector was shot on the 16 June 1976 during the Soweto uprising that today is a symbol of resistance to the brutality of the apartheid government. Soweto, a city developed as a township for black people during apartheid, lies south of Johannesburg. 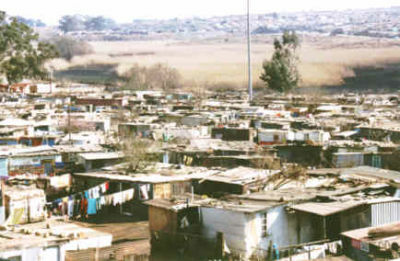 Its residents number some two million people with homes that range from shacks to extravagant mansions, and the Hector Pieterson Memorial site is included on any number of tours through the area. On 16 June on the day Hector was killed, school children had gathered to protest the imposition of Afrikaans as a medium of instruction in township schools. There are contradictory accounts of just who gave the first command to shoot but as children began singing Nkosi Sikelel’ iAfrika, and before they could be dispersed, the police opened fire. Some 20 children died in the ensuing pandemonium. Hector Pieterson has become something of an iconic image of the fateful day, mostly due to a photograph published across the globe by Sam Nzima, photographer at the time for The World newspaper in Johannesburg, of the dying Hector carried by a fellow student, Hector’s sister alongside, her hands held out in panic. Today 16 June is National Youth Day to honour young people. Since its erection, the memorial plaque for Hector Pieterson has been repeatedly vandalized; ironically it seems due to children who don’t understand the relevance or important historical implications of the memorial. Since June 1976, Hector's surname has been spelled Peterson and Pietersen by the press but the family insists that the correct spelling is Pieterson. The Pieterson family was originally the Pitso family but decided to adopt the Pieterson name to try to pass as "Coloured" (the apartheid-era name for people of mixed race), as Coloured people enjoyed somewhat better privileges under apartheid than blacks did. Gold Reef City is a huge and very popular entertainment complex made up of a theme park and casino facilities. The casino at Gold Reef City' is open 24 hours a day and offers an energetic atmosphere, highly trained staff and an abundance of gaming choices. The arena caters for everybody's gaming tastes with slots, tables, sports betting, Salon Privé for the high rollers and more. Gold Reef Cities appeal is broad. International travellers savour the offering of traditional African music, dance and history found throughout the complex. The carefully-documented history of Apartheid, chillingly yet beautifully depicted in the Museum, is a must-see on a South African visit. 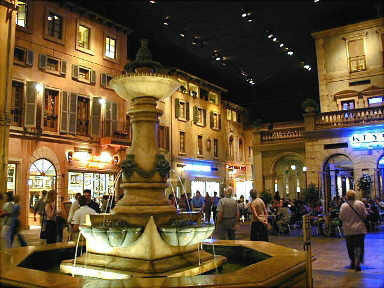 Gold Reef City Walk, Johannesburg . The Union Buildings form the official seat of the South African government and also house the offices of the President of South Africa. The grand Union buildings sit on Meintjies Kop and overlook the city of Pretoria. The Union Buildings were built from light sandstone and were designed by the architect Sir Herbert Baker in the English monumental style. The Buildings are over 275 m long and boast a semi-circular shape, with the two wings at the sides. This serves to represent the union of a formerly divided people. 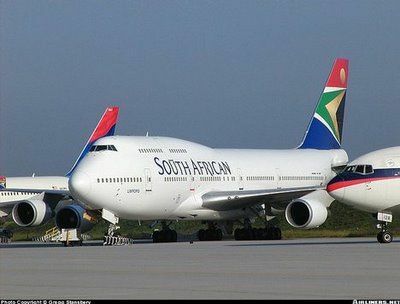 The east and west wings represent two languages, namely English and Afrikaans. The Union Buildings are considered by many to be the architect's greatest achievement and a South African architectural masterpiece. The cornerstone was laid in November 1910. Requiring over 1,265 workers over 3 years to build, the structure was completed in 1913. Especially notable are the terraced gardens surrounding the Union buildings which were planted exclusively with indigenous plants as well as the 9 000 seat amphitheatre. Within the grounds are various monuments and statues. The Union Buildings and its spectacular gardens are a "must see" when visiting Pretoria. One of the great escapes of Johannesburg, the Walter Sisulu National Botanical Garden in Roodepoort, Gauteng, is almost 300 hectares of landscaped and natural veld that is a haven for birds and a popular picnic spot for Gautengers. Despite development that is threatening encroachment on this beautiful garden, set against the backdrop of the magnificent Witpoortjie waterfall, this is still the home of a breeding pair of Verreaux’s Eagles that nest in the cliffs alongside the waterfall and no visit is complete until they have been sited. Enthusiasts arrive armed with telephoto lenses and tripod stands in an effort to capture these beautiful birds, and will sit for hours until they appear. Over 600 plant species and 220 bird species, as well as a number of reptile and small mammals such as antelope and jackal, occur naturally in the Nature Reserve and there are several wonderful walks through the garden and a trail up alongside the waterfall for the not so faint hearted. One can arrange guided tours along the Roodekrans Ridge and through the Nature Reserve part of the garden, and the dam and wetland area with its bird hide alone is worth the visit, particularly at sundown just before the gates close. There is a lot of shaded lawn on which Jo’burgers while away balmy days with a bring-along picnic. The gardens have adopted a ‘carry-in carry-out’ litter policy that means you take home any rubbish with you, and an outcomes-based schools’ environmental education programme that caters for school groups in the garden. There is a wonderful nursery, a gift and book shop and a restaurant; and over Christmas and on selected weekends, the grounds play host to sundowner concerts. But the star of the show is the garden itself with a succulent rockery, a cycad garden, the water garden with water-loving. The largest cable-stayed bridge in South Africa, the 284 metre long Nelson Mandela Bridge, starts virtually at the end of Jan Smuts Avenue and links the Constitutional Hill precinct in Braamfontein to the Cultural precinct in Newtown, in the heart of the city’s inner city renewal project. The Nelson Mandela Bridge, officially opened by Nelson Mandela himself, cost R38-million and took two years of construction to cross over the 40 railway lines that lie spread beneath its span. The bridge carries two lanes of traffic; there are two sidewalks for pedestrians and a bicycle lane and it’s a ride worth taking for the incredible array of artworks decorating buildings past which the bridge runs the city has some 65 artworks in total decorating its buildings. Visually the bridge is incredibly appealing in its simplicity. Four tubular steel, concrete filled pylons are a central feature and key to the engineering of the bridge. The bridge is also supported on the largest pot bearings ever installed in the country, designed to cope with any stresses to the bridge - no surprise that the Nelson Mandela Bridge was judged ‘the most outstanding civil engineering project achievement in the technical excellence category’ in 2003 by the SA Institute of Civil Engineers. At night the bridge is a magical beacon that lights the sky, its imposing span dominating the horizon in amongst the city skyscrapers and viewed from the M1 highway by countless South Africans and visitors alike. Do it in Serious Style on the Blue Train ,We rush to meetings, far too often grab a meal on the run and very rarely take the time we need to relax. More than once in my life I have longed for a time when things were a little slower, a little less hectic and a lot simpler. So a trip on the Blue Train, which attempts to recreate the luxury of the old-world European upper class, is like taking time out of life. The elegance and opulence of bygone-days start even before you set foot onto the Blue Train. Europe may have had the Orient Express but Africa has the Blue Train. An hour before departure you will be ushered into the pre-departure lounge where the butler offers you a cocktail and horse-de-oeuvres while the staff attends to your luggage and see that it is taken on board to your suite. Luxury Train Travel on the Blue Train ,Once you board the train you will be ushered to your suite that is a lounge by day and a luxurious bedroom by night. You have a private bathroom with choice of bath or shower with gold fittings and marble tiles and basins. Each suite has a writing desk should you feel industrious, or you can simply forget the outside world of work and responsibilities and relax with music or a movie and depending on the weather you can turn on the under floor heating or full air-conditioning to increase your levels of comfort.Then you can make your way to one of the elegantly appointed lounges or the club car and relax with drinks or coffee and enjoy watching some of the most beautiful countryside in the world outside the windows of the train. The train makes one stop at Matjiesfontein and if you wish to stretch your legs and go on the excursion, you may do so or while your time away on board. Luxury Train Travel on the The Blue Train , Meals are a delight with delicacies prepared by chefs who cater to all culinary needs and tastes. Guests attend meals with the elegance of the past, with ladies wear in evening dress and gentleman going in collar and tie. If you still have the strength after the evening meal you wander to the club car to enjoy a cognac or cigar or play a game of backgammon.The trip between Cape Town and Pretoria lasts about 30 hours, 30 hours of going back to a time of Relax, dine and enjoy this time while your butler attends to whatever needs you have, you have only one thing to do; enjoy every moment of a journey that will stay with you for the rest of your life, a fantasy come true as you follow in the footsteps of Kings and Statesmen who have journeyed on the Blue Train. Gauteng Hiking Trails - Get away from the hustle and bustle of the city and enjoy hiking in Gauteng. Relax and unwind as you admire the wonderful game, mountains, waterfalls and indigenous vegetation. It is a pity however that this region does not offer that many hiking trails but the trails available are fantastic and scenic. The Gauteng Province has several spectacular botanical gardens, bird sanctuaries and nature reserves and an authentic treasure trove of archaeological and geological sites. A ninety-minute drive north-west of Johannesburg takes you to the beautiful Magaliesberg Mountains. This area offers fantastic hiking trails with views of superb rock formations, sparkling waterfalls, winding streams and masses of exceptional indigenous vegetation. Go on a South African hiking trail and visit The World Heritage Site: The Cradle of Humankind and the Wonder Caves with their extraordinary display of live stalagmites and stalactites. The Johannesburg Hiking Club organises hikes and fosters a sense of responsibility towards the environment. The club offers youthful, midweek and Sunday hikes, backpacks, base camp weekends, slide shows, club evenings and social events. If you wish to improve the environment in this province, join this club and go on hikes whilst improving the environment. The Johannesburg Hiking Club utilises as many different hiking trails in South Africa as possible in order to provide an extensive and motivating programme. Johannesburg also offers numerous fantastic trails that have been tailored for disabled and/or handicapped persons. In the heart of the busy Gauteng, Hennops hiking trail offers hikers to experience one of the few unspoilt nature areas near the Hartbeespoort Dam. This trail consists of two day trails setting out from two base camps namely The Krokodilberg trail and The Zebra trail. At the beginning and end of both trails, the route meanders along the shimmering Hennops River before changing direction into the surrounding magical mountains. The Krokodilberg trail on the first day is 11,33 km long and the second day Zebra trail is 6,15 km long. There are two base camps called Loerie and Hadeda both of which are on the banks of the Hennops River where there are many rock pools ideal for a refreshing swim. The Loerie camp has a big swimming pool where hikers can refresh themselves and cool down after a good day’s hiking. The Hennops Hiking trail offers outstanding scenery of indigenous trees along the glistening river, gorges and plateaus which are home to numerous magnificent birds. For the day off, there are numerous Sunday hikes at Foothold and Castle Gorge. Most hikes are not on dedicated paths so you will be bundu bashing to follow the leader. The Windy Brow game farm in Pretoria offers a network of hiking trails especially for the hiking family, beginners and senior hikers. The farm formed part of the bigger farming unit of Elandsfontein where the famous Cullinan diamond was discovered. The hiking trails offer awesome game viewing of more than 14 species of game. Each hiking trail covers differing habitat zones to ensure that you view all the game offered. You will view an abundance of magnificent bird-life, the Cullinan mine, Hartbebees, Kudu and Gemsbock, Giraffe, Zebra and the typical Transvaal bushveld. The Gauteng Province may offer just a few hiking trails but the trails available offer gorgeous scenery and awesome opportunities to view differing species of game.